It can be easy to overlook a faucet leak. Most people either don’t realize a faucet is leaking or don’t think a leaky faucet is doing much damage. Faucet leaks in fact can be signs of a larger problem and if left untreated, can end up costing you money in the long run. If you are having problems with faucet leaks, give us a call at On The Ball Plumbing to see how we can help. As the exit point for water, faucets can tell a great deal about what is going on within the entire plumbing system. Depending on how the water is coming out, the color, the smell, the taste or any number of other factors, you can get a good understanding of how the overall system is performing. Faucet leaks can be a sign that there are other problems within your plumbing system. For this reason, if you notice a faucet leak, it is beneficial to have a professional look at it. DIY fixes can stop the faucet leak, but they may also miss the underlying problems. Having a professional Twin Falls plumber take a look at your leaky faucet can end up saving you thousands of dollars in the long run. Our team of professionals have experience in all phases of plumbing and can assist you with any faucet leaks. Once we have diagnosed the problem, we provide the correct solution for your individual need. Not every faucet leak will need a completely new faucet. At On The Ball Plumbing, we pride ourselves in offering the exact leaky faucet repair in Twin Falls ID you need for your individual job to make sure you never pay for something you don’t need. 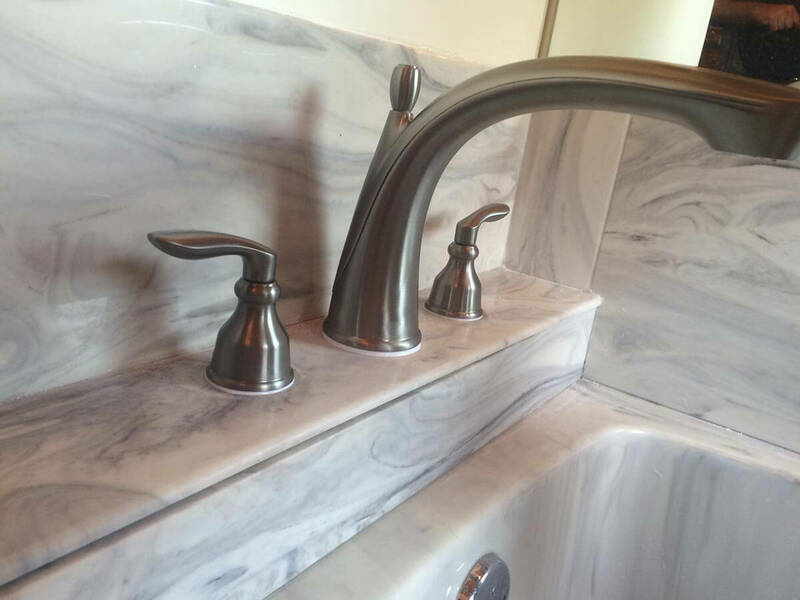 On The Ball Plumbing’s team of professional Twin Falls plumbers can assist with any faucet leaks, new installations and maintenance.